Love these! I recently made one for my apartment. If you're ever near Westport, CT, make sure to stop by the store Terrain--you'll be amazed! I simply adore terrariums! A terrarium necklace is too good to be true! 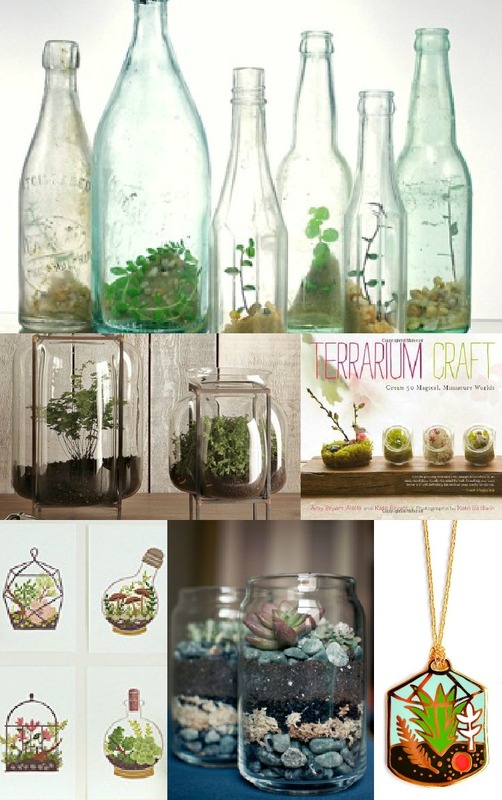 I love making these, except I tend to send them to terrarium heaven every single time! I love these! I see them at Dose Market and other markets all of the time, I'm so intrigued by them. Look great too. I love terrariums - such a small little bit of garden in a tiny space.